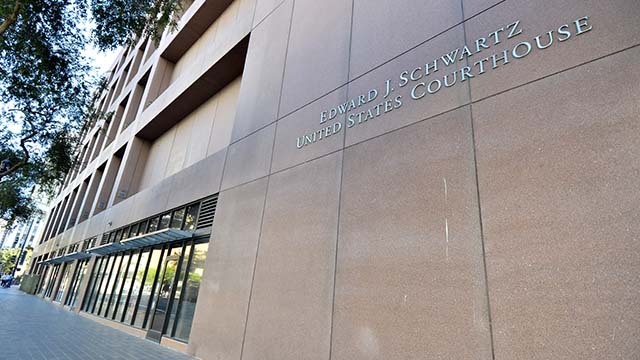 A disbarred Rancho Santa Fe attorney faces nearly three years in federal prison Saturday following his sentencing for bankruptcy fraud and tax evasion. In addition to handing down the 34-month custody term to 73-year-old J. Douglass Jennings Jr., U.S. District Judge Gonzalo Curiel on Thursday ordered the defendant to reimburse his victims a total of $1,453,833 and to pay $5,927,093 in restitution to the Internal Revenue Service. During the same San Diego court hearing, Jennings’ 72-year-old wife, Peggy, was sentenced to four months in federal custody for committing bank fraud. The couple had filed for bankruptcy in January 2010. In September 2011, Douglass Jennings pleaded guilty to devising a scheme to defraud his unsecured creditors by concealing wealth. Those hidden assets and income, valued at nearly $1.5 million, included a stock interest in a real estate venture valued at about $1 million; a 53-foot luxury yacht valued at roughly $150,000; antique silver items valued at approximately $165,000; and $138,694 in salary payments and other benefits made in violation of a bankruptcy court order. Douglass Jennings also pleaded guilty to tax evasion. Peggy Jennings was convicted of forging her mother’s signature on loan documents, fraudulently transferring funds into her mother’s bank accounts to make it appear that her mother had substantial income, submitting false documents to the bank and scheming to cause the bank losses exceeding more than $226,000. In addition to serving her prison term, she will have to pay a $50,000 fine and $145,481 in restitution.